A few months ago I posted some musings on Peace – if you missed them you can read them here. I talked about whether peace was a destination, and among other things I compared it to carbon atoms! 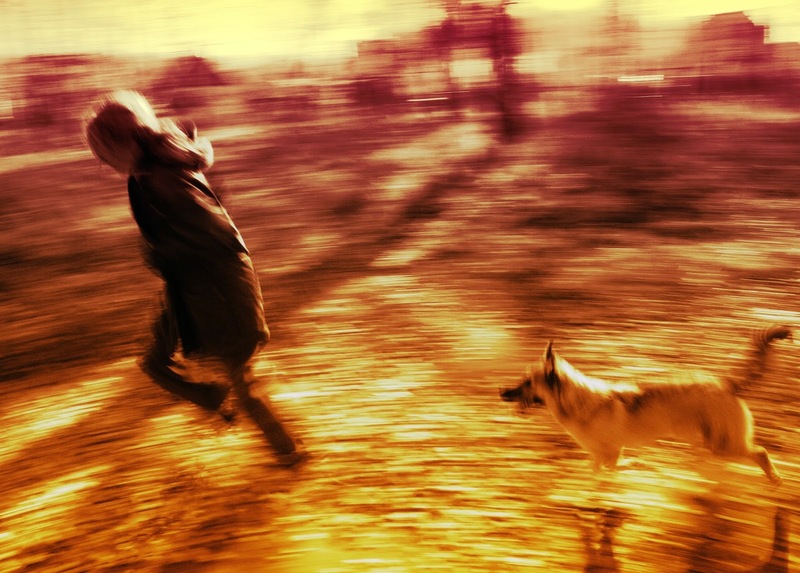 Do you feel chased by life? This week, my fellow bloggers have set each other the title “The pursuit of peace”, and as I've reflected on it, what’s caught my attention is the “pursuit” part. It’s certainly my experience that I often feel pursued - chased by the circumstances and demands of 21st century life. Maybe it’s the relentless need to meet financial targets at work, or the necessity to work long hours to provide for your family, or the 24/7 demands of status updates, photos and “likes” on social media. Whatever it is, perhaps it’s hard for us to feel in control of our lives enough to be pursuing something ourselves, let alone pursuing peace! On my train journeys commuting to work, I pass by the many canals of the Black Country. Invariably they look serene in the misty morning light or gentle colours of dusk. "..I often feel pursued - chased by the circumstances and demands of 21st century life." It’s at this point that I have a confession to make: the idea of a canal boat holiday is something that really appeals to me. I like the romance of travelling at a sedentary pace, enjoying the scenery and peacefulness of canal life, taking time to read, write and spend time with family. A few weeks ago I read “The Narrowboat Lad” by Daniel Brown, which is the true (and recent) story of a young man who takes the brave step of leaving home to live on a canal boat. Living a sustainable and off-grid life, he finds he only needs to work part time, so he reduces his hours to spend more time in the great outdoors, something which brings him a sense of wholeness and, dare I say it, peace. Check out his YouTube channel! A theme I come back to again and again in my posts is that we will feel most alive doing the things we’re passionate about and being the person we’ve been made to be. Often there’s a restlessness within us when we’re not doing these things - perhaps when we find ourselves doing things we’re not passionate about. Sometimes, the pursuit of peace is about the pursuit of our dreams and passions – since it is through doing these things that we will find ourselves truly fulfilled and at peace. 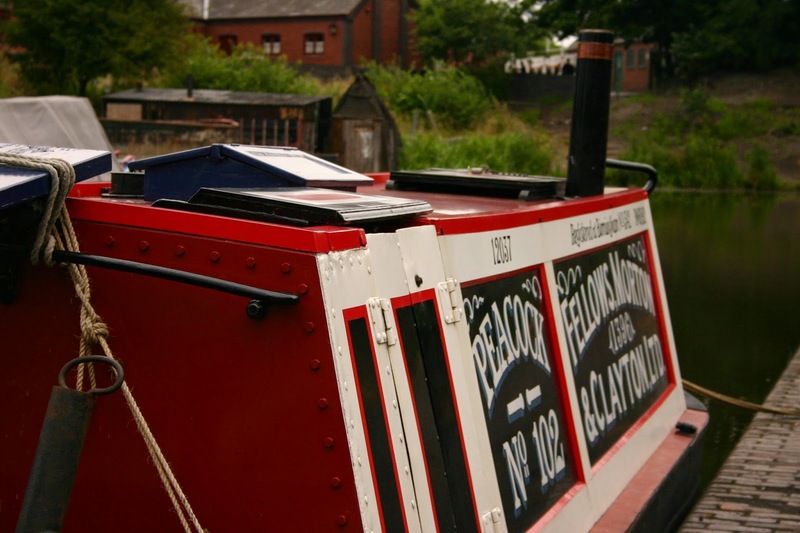 "The idea of a canal boat holiday is something that really appeals to me." The problem can often be that we expect peace to break out spontaneously, or for our situations to miraculously change overnight. Maybe this does occasionally happen, but more often than not I think that peace is something we need to take steps towards – to pursue. It takes movement, and that’s one of the things I love about the story of the Narrowboat Lad – here’s a young man stepping miles out of his comfort zones in pursuit of the dream in which he will find greater peace in himself and with life. We can all find ourselves caught in the headlights at times, rooted to the spot. But the pursuit of peace can be taken one decision at a time, big or small. When I interviewed Chris Whyley over the summer about starting his own internet company, one of his key points was about taking small steps to wedge the door of your dream open a bit at a time. Change doesn't have to be immediate or massive, in fact more often I think that it’s incremental and accretive. I listened to some people earlier this week talking about starting their own businesses, and they made the comment that they wished they’d started them earlier. Perhaps too often we wait for conditions to be perfect – perhaps for peaceful conditions that never come – before we take a step towards something. "Sometimes, the pursuit of peace is about the pursuit of our dreams and passions.."
But I want to encourage us all this week to take a step towards peace. It might not mean moving onto a canal boat (yet), but maybe it’s looking up a course to study, a place to visit, a skill to develop, a person to talk to. Perhaps it's a step towards a loving God, placing dreams and visions back into his control. Whatever it is, it’s never too late to pursue peace.. Thanks for taking the time to read The Pursuit of Peace. If you've enjoyed it please share it with your friends on social media! Why not subscribe to The Potting Shed Podcast on iTunes for the audio version and much more (direct RSS feed is here). If you're reading in August 2015 then please vote for The Potting Shed Podcast to win an award for "Best Self Help Podcast" here. Thanks John - hope you manage to re-configure to reduce your stress! Appreciate you dropping by. Thanks Elizabeth, I agree that canal boats aren't everyone's cup of tea! All the best with your new business, appreciate you dropping by!